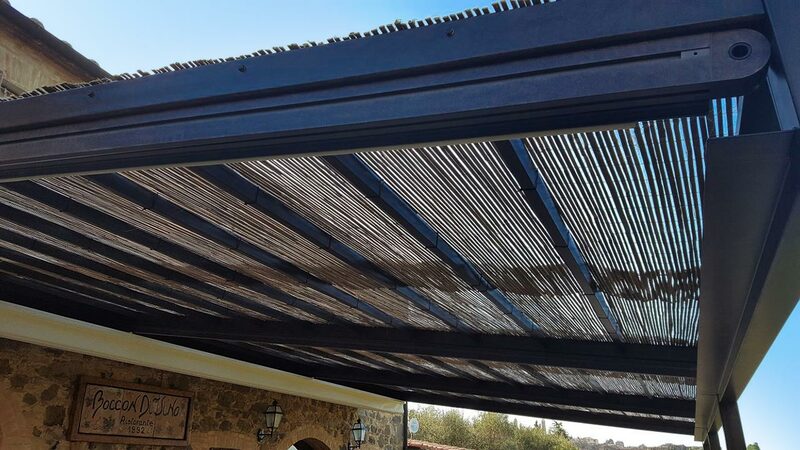 - cover that protects from rain and at the same time guarantees a permeable shaded area. After an accurate planning and study phase, Gaia realized the structure entirely in the company. Subsequently after the galvanizing, cleaning and painting, he proceeded to the assembly on the spot. 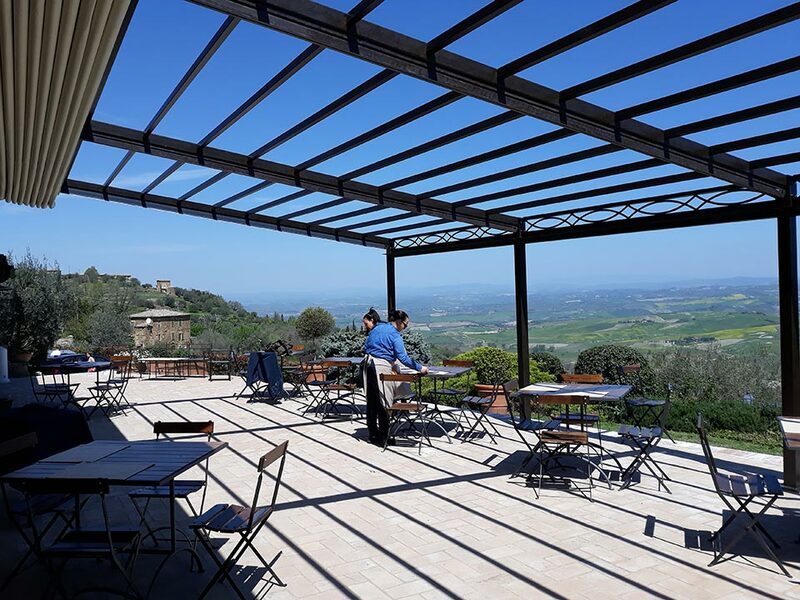 The iron pergola is supported by uprights fixed to the ground by anchoring bolts for a total surface of 60 square meters. 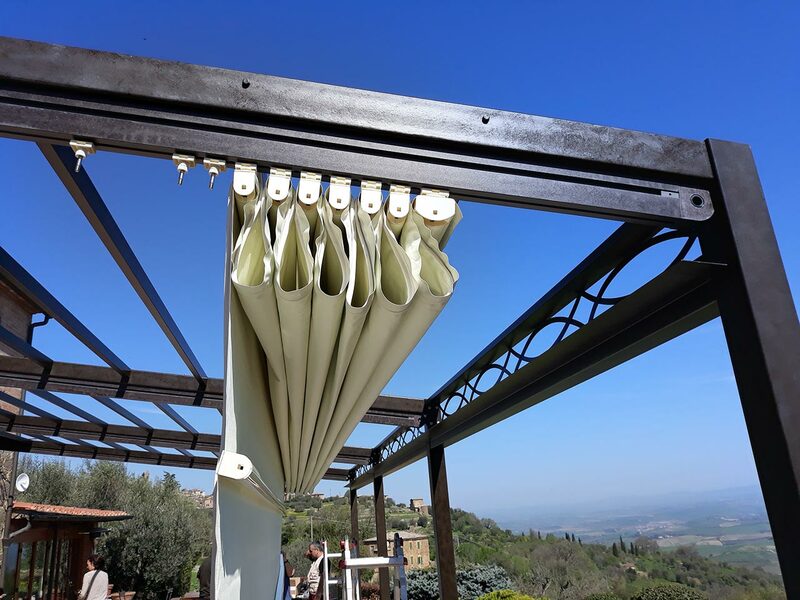 It is equipped with a front beam with gutter function and canalization of rainwater that are collected in the 4 columns. on site The classic design structure with forged elements is unique and has a dual function. 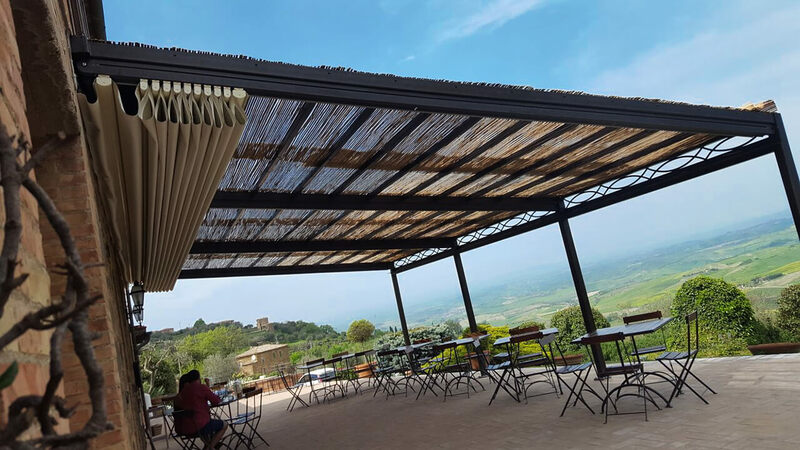 In the lower part a tent with 4 motorized folding rails has been installed, while in the upper part, thanks to the intermediate purlins, a canopy mat using straps. 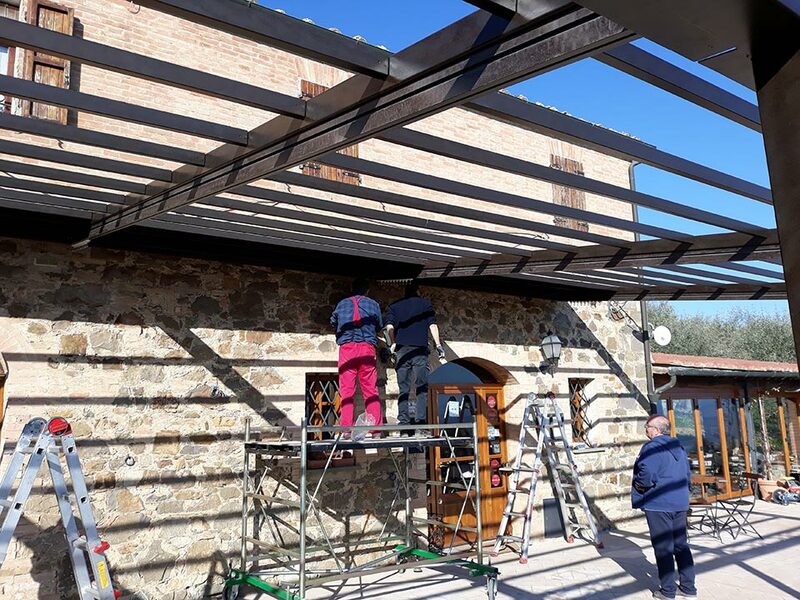 The two-component polyurethane enamel paint is aged manually with antique rust effect to fully enhance the structure by integrating it with the splendid farmhouse.